Few topics in local government generate as much controversy and misunderstanding as the relationships among population growth, real estate development, school enrollment and impact tax revenue. I want to provide the data and background information needed to understand how – and how much – new development contributes toward the cost of providing classroom seats for schoolchildren. I often hear people say that new residential development “doesn’t pay for itself,” by which I take them to mean that the cost of providing capacity for additional students coming from new development exceeds the revenue raised through school impact taxes. 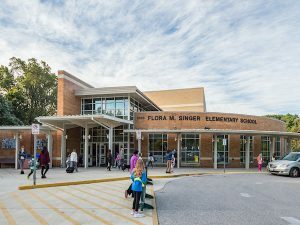 In Montgomery County, school impact taxes are calculated to cover 120 percent of the cost of each additional seat generated by a new housing unit. In principle, at least, this percentage means that new development pays for more than its share of the capital costs associated with building schools (regulated affordable housing and current and former “enterprise zones” are treated differently and will be discussed in a later post). School impact taxes imposed on new development are only one way to fund schools. Districts all over the state, region and country raise money for schools using a variety of means, including property taxes. In fact, Montgomery County relied on general revenues, primarily property taxes, until 2003, when the first school impact tax law was adopted. As you can see, Montgomery County has the second highest school impact payment of any jurisdiction in the region. Loudoun County, Virginia, in first place, is a bit unusual because it has both strong demand and large amounts of greenfield land, i.e., areas not previously developed, so in many cases, Loudoun is starting from scratch in building basic infrastructure. To be clear, I’m not arguing that our school impact taxes should be lower or higher. It’s useful to understand how our rates stack up against other jurisdictions when considering both the relative cost of doing business in other places and gaining some perspective about other approaches to paying for public infrastructure. To those who say that impact taxes should go down, I would point out that our rates are based on the actual costs of adding classroom space. To those who argue that school payments should go up, I would point out that the courts have ruled that the government can charge developers for infrastructure only to the extent that the fees imposed bear a reasonable relationship to the costs generated by development – and while we do need additional school capacity, we also need housing to accommodate our workforce. In my next blog post, I’m going to explain how we calculate the number of students coming from new development and how those numbers vary depending on the kind of housing that’s built. Thank you for this – this is really helpful and interesting. The only thing I’d add is that the annual calculation of cost/seat does not include the cost of land. In most cases, the land is “free” in that it was dedicated at the time of development, or perhaps if s closed School is reopened. But there are some cases where MCPS has had to acquire property. In 2016 the Council added 10% to the then-current rates to approximate the periodic need to acquire land. That explains 110% of the 120%. The Council raised the tax in 2016 by another 10% to replace another developer exaction, the School Facility Payment (SFP). The SFP had been made by a developer when projected school enrollment would be between 5 and 20% over capacity in a cluster area. This is what brought the rates to the current 120% of cost/seat. Thank you for the information, explanations and comparisons . The taxes you list are the sticker price, so to speak. Do you have a chart for what is actually collected per unit?